Happy Halloween cabaret creeps! Eerie evenings aplenty this month – and if you’re more cocktails and kicks than trick or treat, never fear – we’ve got you covered, too! Walking the tightrope between his public and private personas, golden-voiced cabaret superstar Le Gateau Chocolat (above) explores relationships with our icons – the people, the moments, the books, the relationships that have come to shape us, or the ideal we aspire to. “The disenfranchised need a voice, society needs a mirror, governments need to be held accountable.” We go deep with Le Gateau Chocolat. Soho Downstairs, 31 Oct – 4 November. From £16.00. 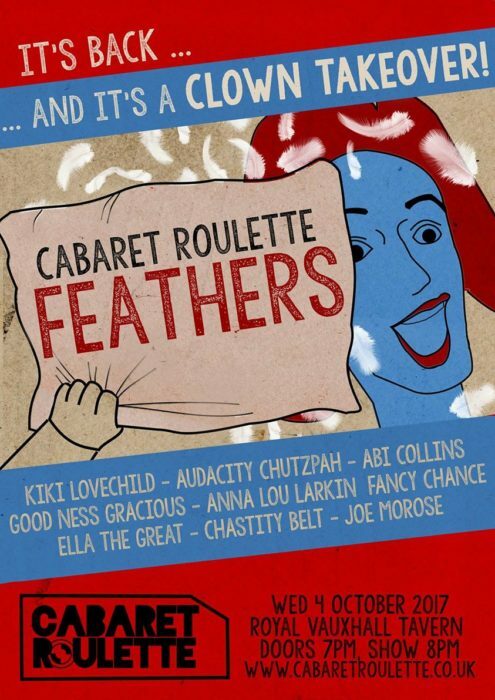 Cabaret Roulette makes a welcome comeback to the RVT with this night of unexpected delights. This is cabaret for people bored of cabaret, where artists representing the widest possible array of styles and disciplines are given two months to develop a new act on a single theme chosen in advance by you, the audience. “Cabaret Roulette is about removing all safety nets and discovering what greatness and madness is possible when artists are pushed out of their comfort zones.” Producer Vivacity Bliss lays bare the secrets behind her hit show. 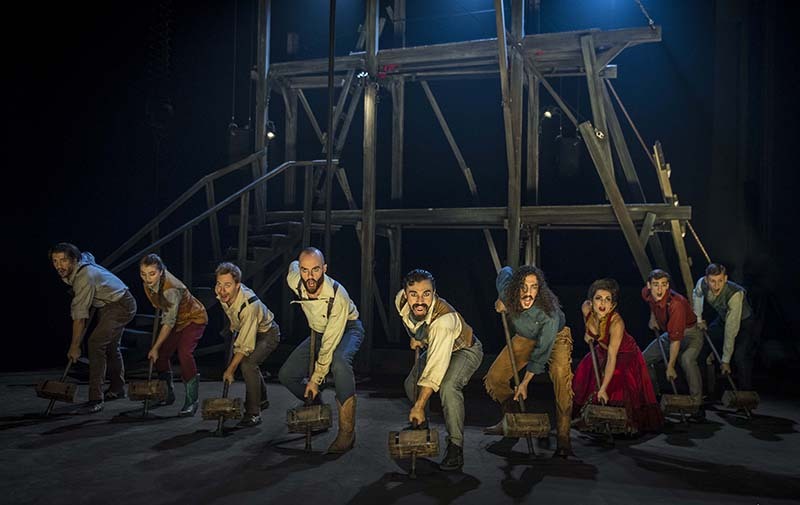 Saddle up for a journey to the Wild West as contemporary circus troupe Cirque Éloize deliver a blend of “spectacular circus and drama”. With non-stop live folk and country music, from Patsy Cline to Johnny Cash, and original compositions by composer Éloi Painchaud, Saloon is a foot-stomping, lasso-throwing night of entertainment. “A show of extraordinary talent and versatile performers.” Read our review of the Cirque Eloize’s Cirkopolis. Peacock Theatre, 4th – 23rd October. £15-42.00. 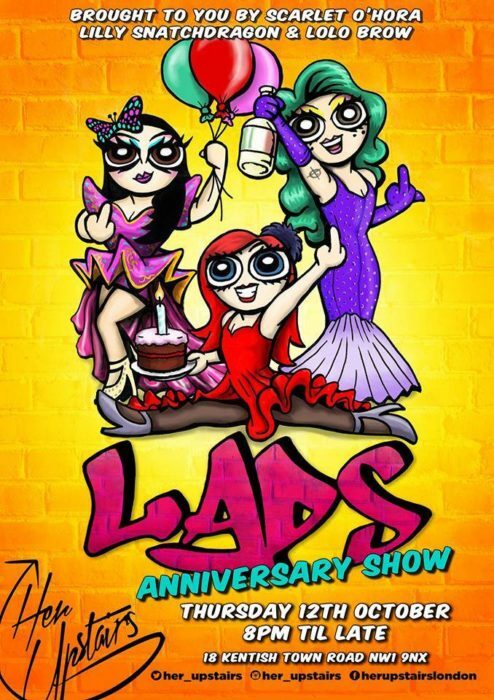 LADS is a female led “queer night, in a queer venue to showcase the talented and diverse performers of the cabaret scene and beyond”, brought to you by The Family Fierce members Lolo Brow, Lilly Snatchdragon and Scarlett O’Hora. An interactive installation runs before the show, and a raffle ticket could snag you a LADS tote bag! “I would like to toss my unwashed merkin in the face of this comedian.” Find out how not to get on the wrong side of Lolo Brow. 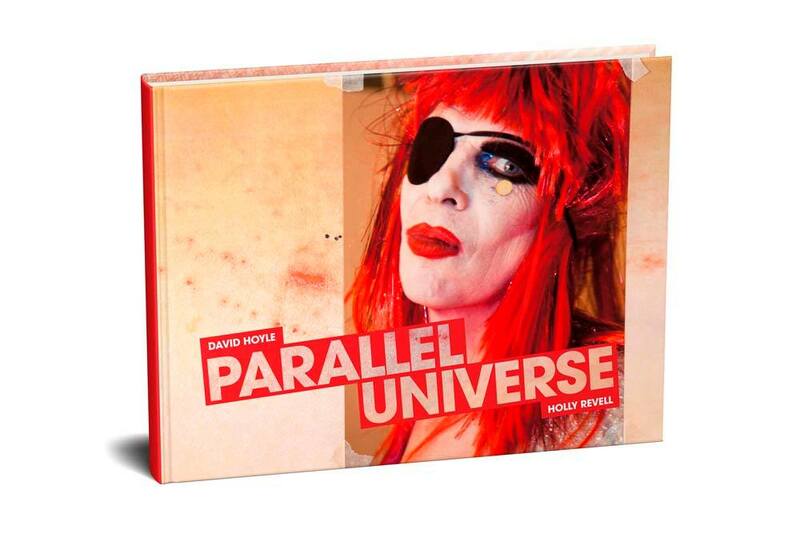 ‘David Hoyle: Parallel Universe’ is a limited edition book of photography and artworks emerging from the intimate eight-year collaboration between avant-garde queer performance legend David Hoyle and acclaimed London performance photographer Holly Revell. As well as more than 300 unpublished images of David backstage and on stage, the book features over 25 unique artworks created by David especially for the book, and anecdotes from some of David’s collaborators including Penny Arcade and Christeene. What would David Hoyle do if he was the Mayor of London? Bethnal Green Working Men’s Club, 18th October. 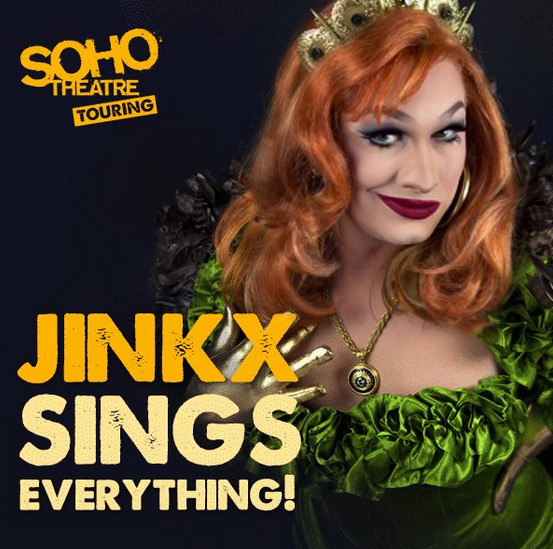 RuPaul’s Drag Race winner Jinkx Monsoon returns with an evening of Broadway show stoppers chosen by the audience nightly. The audience will be able to suggest and request their favourite Broadway songs to be performed on-the-spot, with no two shows the same. Monica Salvi exchanges the stage for a padded cell, glamorous costumes for a white nightgown, and adoring audiences for a bunch of inmates. Yet, she will sing! A madwoman proudly recounts the roles and songs which made her who she is today, celebrating that fine line between creativity and madness. Just how crazy is Monica Salvi? Award-winning actress and musical theatre star Janie Dee returns to Crazy Coqs with an eclectic mix of songs from her forthcoming album: Janie Dee at the BBC. Dee is currently starring as Phyllis Rogers Stone in Stephen Sondheim’s Follies at the National Theatre. Now in its seventh season, the roll call of performers who’ve tried out new work in the Albany’s intimate studio space to date includes Matthew Floyd-Jones, Ria Lina, Holly Penfield, Sarah-Louise Young, Kiki Lovechild and Paul L Martin. The night is co-curated by cabaret performer Tricity Vogue, and Lisa Lee of Rude Grrl. The Albany, 3rd, 5th October. Pay as you decide. Cabaret legend David Hoyle returns with five one-off, limitless evenings of “hilarity, protest and revolt”. Post-drag, post-gender, with an all star cabaret supporting cast, it promises live art, performance and “sounds to grind the old regime beneath a stiletto heel”. Burlesque Vibe promises creative cabaret, burlesque jazz, tassle-twirlers, circus glitterati and a dash of boylesque to boot. Step out of the hubbub and into a tropical paradise, sip a sparkling cocktail (or two!) and prepare to be “tantalised, teased and entertained”. With “mind illusions, divination, predictions, bizarre and just straight out lies” Brett presents an interactive mentalism piece where “myriads of patterns slowly lead the performer into obsession”. Dig out your dancing girl dresses, feathers and top hats! Expect canapés, cocktails at a secret venue hidden away near Caledonian Road tube station. Sukki Singapora stars in this “fantastical world of pleasure and decadence”. No, not a horror sequel, but the latest outing for a carefully curated cocktail of provocative artworks and live performances from the likes of circus photographer Ben Hopper, The Double R Club’s Philip Bedwell and the ever-astounding burlesquer Marnie Scarlet. Look out for the Saturday night Panic Sermons where the emphasis is on live art. Celebrating Black History Month, the Cocoa Butter Club take over both Her Upstairs and Them Downstairs. During the day, the Kings of Colour Initiative will be holding drag king workshops while, in the evening, there will be film screenings and live performances. Her Upstairs/Them Downstairs, 14th October. Check link for latest ticket information. The Glory, 15th October. Free. Welcome to ShockBuster Video, where your dedicated clerk Felix Le Freak will always be happy to rent you the latest thriller, romance or tear-jerker. However, tonight Felix wants you to browse their favourite aisle – Horror… Felix will meld classic horror clips with live sketches, songs, performance and an unexpected narrative. Just make sure you don’t get locked in the store overnight! For October, Burlesq-aoke becomes Boo-lesq-aoke, adding a Halloween spin to one of the most original regular nights around. Host Mysti Vine sees over a show which allows the audience to get on stage and sing their favourites alongside performers when they’re not watching some of the classiest burlesque around like this month’s special guest Marianne Cheesecake. Shotgun Carousel, together with House of Dark Shadows, are thrilled to present the 57th centennial Vampire Pageant, a one-night vampstravaganza held at the Bethnal Green Working Men’s Club. Flocking to the city of smoke from across the globe, vampires of all identities are invited to compete in a number of ghoulish categories that will determine who is finally crowned Queen – or King – of the Damned. For seven years budding burlesque starlets from all over the UK and worldwide have tasselled, shimmied and pulled out all the stops in front of a panel of seasoned performers and producers for the chance to win their heat and battle it out for the title of Miss Burlesque Idol at the Grand Final each year. Girls will be boys, boys will be girls and some will be neither! Up Yer Weimar promises to take you on a trip to the golden age of Weimar to celebrate the bizarre. From Bauhaus to The Blue Angel, powder your face, put on your furs and high kick your way to the crypt. Join Femme Filthy, Femme Free-Spirit, Femme Fanciful and Femme Frivolous for their take on life, love and London living through comedy and song. The ladies cover songs from the fourties in four part harmony, mix things up with some blues and jazz, throw in some Motown classics, and bring it home with the latest chart topping hits. Toulouse Lautrec Jazz Club, 28th October. £12.50. Channel your inner Professor Plum or Ms Scarlet at this fancy dress Halloween screening of classic mystery flick Clue, starring Tim Curry and Christopher Lloyd. Please send updates and corrections to these events to info@thisiscabaret.com.